Ever since the beginning of time, man has always wondered what the outer space looked like. First they talked about the sun, then the moon before coming up with the solar system. Eventually, as human beings progressed so did our idea of space. In recent times, NASA has been able to give us various images of outer space. All these images give us a vivid description of how beautiful outer space is. With that being said, listed below are 10 stunning images of space that will surely blow your mind. The incredible image of Saturn was captured by Casini spacecraft back in 2006. The image was captured while the spacecraft was passing behind the ringed gas giant in its 9th year of the expedition. 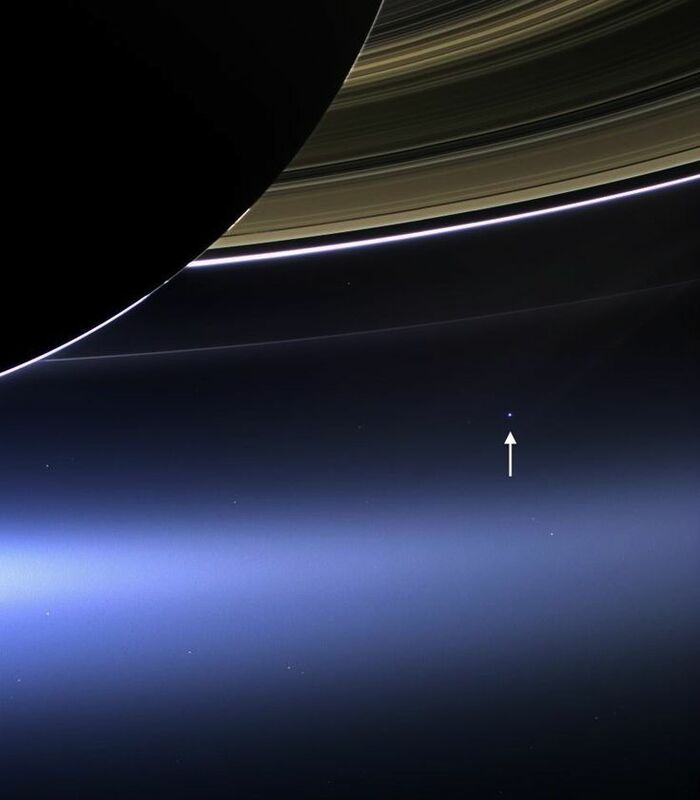 The most amazing fact about this picture is that you can notice the pale blue dot of Earth on the left side of the bright ring.